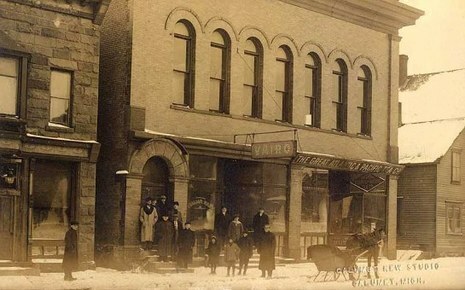 A once-thriving mining town in Michigan's remote Upper Peninsula is still haunted by the tragic events that inspired Woody Guthrie's song "1913 Massacre." In Calumet, the past has been shrouded in myth, half-truths and collective denial. 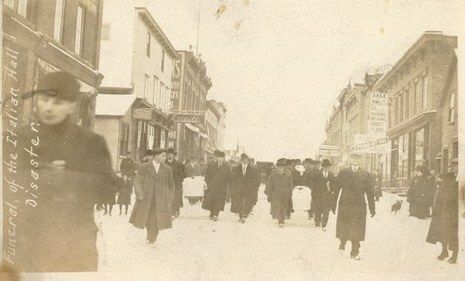 Now, as the town struggles to overcome its current troubles, Calumet faces new questions about the memory and the meaning of Christmas Eve, 1913. 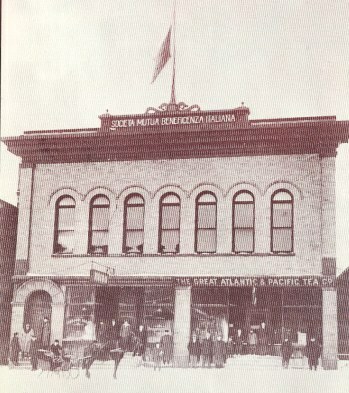 On that fateful day, the striking miners of Calumet, their wives and children, about five hundred people in all, were gathered in Italian Hall for a holiday party held on the second floor, at the top of a steep stairway. After the festivities had begun, someone -- to this day, no one knows who -- yelled Fire! Despite efforts to keep the Hall under control, panic took hold of the crowd. The miners, their wives and children made a mad rush for the stairs. 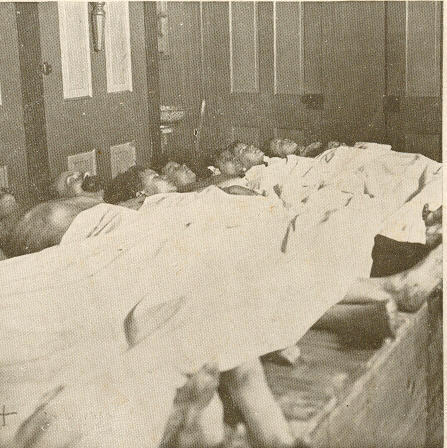 In the ensuing chaos, seventy-four people were crushed and suffocated to death on the stairway of Italian Hall. 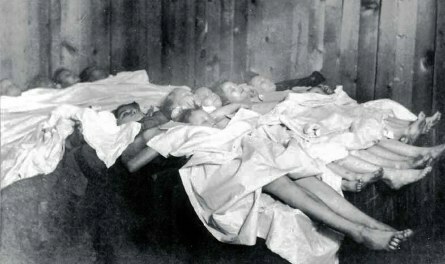 Fifty-nine of the dead were children. There was no fire. In the version of events that found its way into Woody Guthrie's song, the "copper-boss thug-men" had plotted to yell Fire! 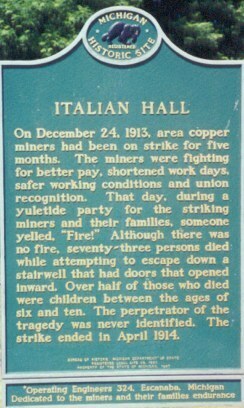 and were holding the door of Italian Hall shut, so that the miners and their families could not escape. Working in DV and 16mm film, and using a mix of archival and original materials -- including interviews with Italian Hall survivors and Calumet residents, writers, activists, and musicians such as Pete Seeger, Ani DiFranco and Arlo Guthrie -- the filmmakers explore what happened on Christmas Eve, 1913, what Woody's song tells us (and doesn't tell us) about that event, and what that all means about America, past and present. The film moves fluidly between time zones, among narrators living and dead, and between stories separated by years and by geography. Above all, the project testifies to the unique power of Woody Guthrie's music: his songs take us to places in America most of us have never been, tell stories that haven't made it into the history books, and show us things about ourselves we otherwise wouldn't know. This film reminds us that to understand who we are, we need to know where we have been. 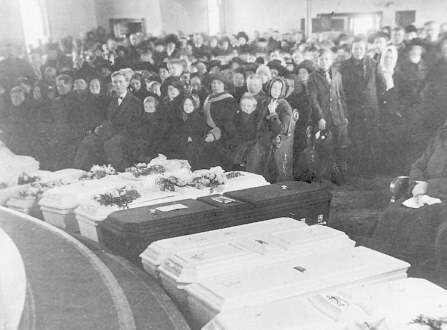 Seventy-three men, women, and children, mostly striking mine workers and their families, were crushed to death when someone falsely yelled "fire" at a crowded Christmas party. 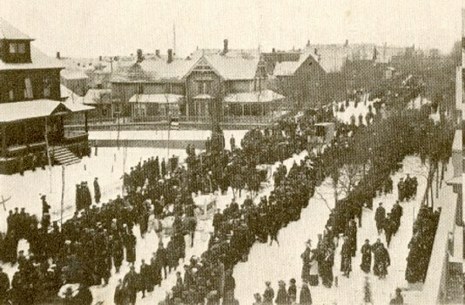 On Christmas Eve many of the striking miners and their families had gathered for a Christmas party sponsored by the Western Federation of Miners. 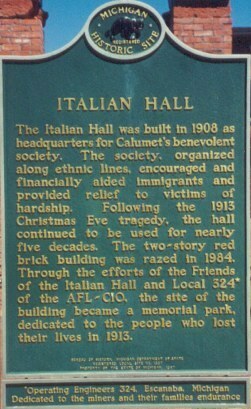 It is estimated that there were over five hundred people at the party which was held on the second floor of Calumet's Italian Hall. A steep stairway was the only way to the second floor, although there was a poorly-marked fire escape on one side of the building and ladders down the back of the building which could only be reached by climbing through the windows. The tragedy began when someone yelled "fire." People panicked and rushed for the stairs. 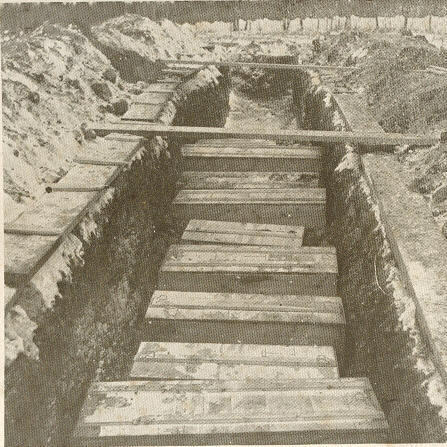 In the ensuing melee seventy-three people (including fifty-nine children) were killed. There was no fire. To date it has not been established who cried "fire" and why. 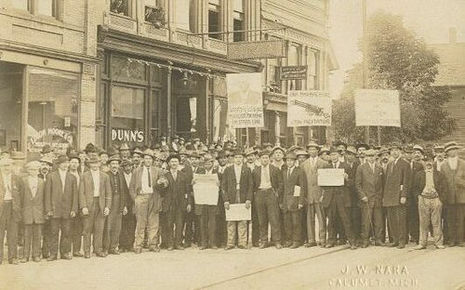 The most common theory is that "fire" was called out by the anti-union company management to disrupt the party. 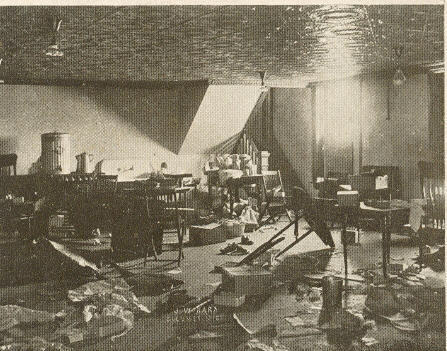 There were several investigations into the disaster. 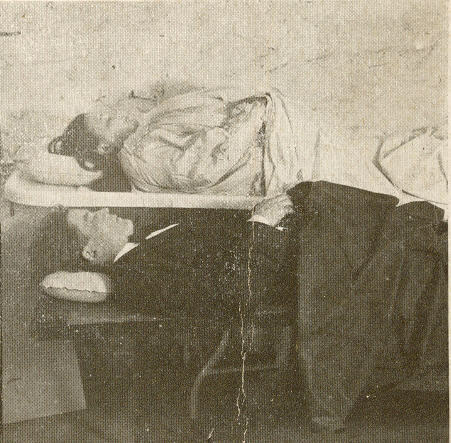 The first, by the coroner, contained serious errors. Witnesses who did not speak English were forced to answer questions in English; most witnesses were not asked follow up questions. It appears that many witnesses who were called had not seen what happened. After three days, the coroner issued a ruling that did not give a cause of death – the only actual job of the coroner – but instead cleared those viewed as the obvious culprits: out-of-town strike breakers. 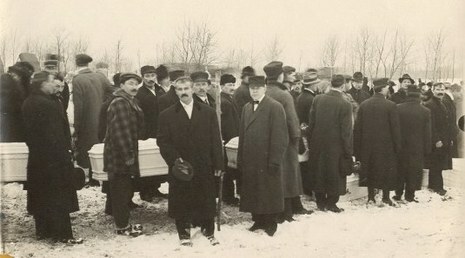 Until recently, the transcript of the inquest was not widely available, so people could not evaluate the ruling of the coroner. There are now copies of the inquest available for researchers to examine. 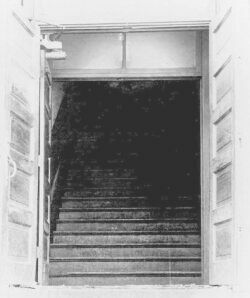 A common story regarding the fire states that the doors at the bottom of the Italian Hall's stairs opened inward. According to the story, when the fleeing party goers reached the bottom of the stairs, they pressed up against the doors which only opened inward, causing many people to be crushed. The theory appears to have first emerged in the 1950's. All photos of the doors suggest a double set of doors with both sets opening outward. The first printed mention of the doors opening inward was in the 1952 book Red Metal by C. Harry Benedict. 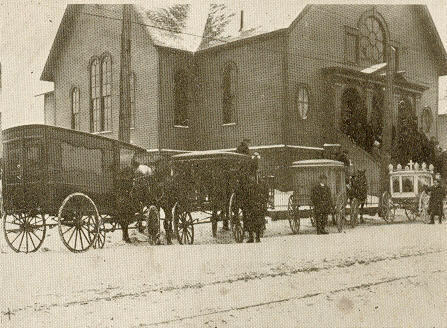 The doors were not mentioned as a contributing factor at the December 1913 coroner's inquest, the 1914 subcommittee hearing, or in any of the newspaper stories of the time. I will let you shake hands with the people you see. So it's fun to spend Christmas with children and wives. A few people rushed, and it was only a few. "It's only the thugs and the scabs fooling you." Such a terrible sight I never did see. The scabs outside still laughed at their spree. To lighten the mood for the holidays, the WFM organized a Christmas party for the children of the striking miners. 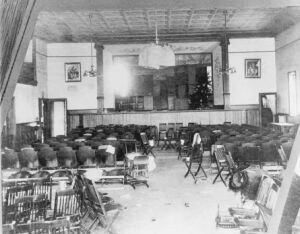 On December 24, 1913, children by the hundreds gathered with their parents in an upstairs room at the Italian Hall in Calumet. The WFM made sure that only WFM members and their families attended, so no trouble would happen. But around 4:30pm, an unidentified man yelled "Fire!" from outside the Hall on the street. A mass panic ensued, and children ran screaming for the only exit - a set of steep stairs leading down to double doors that opened inward. Adults ran and tried to stop the children from panicking. Someone tripped and fell down the stairs, causing a domino effect, which brought others falling down the stairs, too. People fell over others that were already trapped against the inward-opening doors, blocking anyone from spilling out of the building. One after another, bodies slammed on top of those below and against the closed doors. When the panic fell silent, 73 people, mostly children, were dead. Another died the next day, bringing the total to 74. This became known as The Italian Hall Disaster. 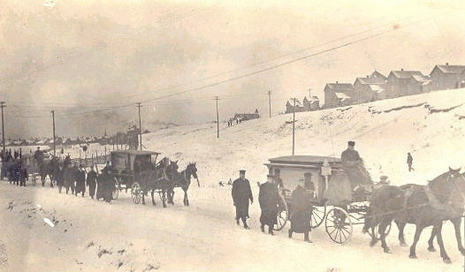 The bodies were carried to the village hall, where a temporary morgue was set up. The entire community was shocked and heartbroken over the tragedy, and people everywhere in the Keweenaw set up a fund for the families of the deceased.